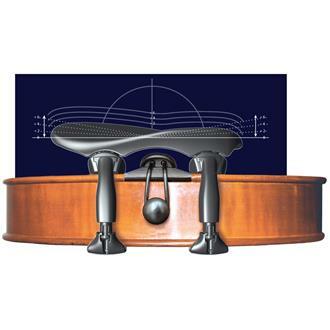 Wittner Augsburg Violin Chinrest, Center Mount -features technology that allows you to adjust the Height and Tilt the angle. 4/4 violin size only. Non allergentic, anatomically designed, made of "high-tech" composite material. Easy secure fitting. Assembly is required. Detailed instructions included.